4.notifications by States ratifying the Nairobi Wreck Removal Convention 2007 to extend the Convention area inwards to include the territory and territorial sea. For a table listing contracting states to a selection of maritime conventions relating to marine environmental affairs see: Status of conventions (table) as at 1 October 2018. For further information relating to the status of IMO Conventions, including recent ratifications, see: IMO Status of Conventions. For full details of ratifications, accessions and denunciations, including reservations and notifications deposited by states with the IMO see: Status of conventions (full details) as at 16 October 2018. Details are given below of liability limits under various international regimes. Links are provided to tables which give illustrative examples of the calculations involved and which convert the limits into US dollars at the current rate of exchange from the Special Drawing Right. Details are also given of limits under US federal legislation. Civil Liability Convention 1992, Fund Convention 1992 and Supplementary Fund Protocol 2003. The liability limit of shipowners and insurers under CLC 92 depends on the gross tonnage of the ship. Note: if the ship is entered in an International Group Club, the owner and insurer are required by STOPIA to indemnify the 1992 IOPC Fund for any compensation it pays as a result of the ship’s liability limit being less than SDR 20m. This affects ships of up to 29,548 gt. For current equivalent figures in US dollars and illustrative examples see: Oil pollution from tankers – liability limits as at 1 July 2018. 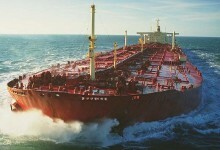 The liability of the 1992 IOPC Fund is subject to a limit of SDR 203m, including any amounts actually recovered from the shipowner or his insurer. For the current equivalent limit in US dollars see: Oil pollution from tankers – liability limits as at 1 July 2018. The liability of the Supplementary Fund is subject to a limit of SDR 750m, including any amounts actually recovered from the shipowner, his insurer and the 1992 Fund. For current equivalent figures in US dollars and illustrative examples see: Limitation regimes – liability limits as at 1 July 2018. *Note that in some Protocol States the amended limits may not have entered into force until a later date. In the UK they did not take effect until 30 November 2016. See: New liability limits in the UK. For liability limits under the US Oil Pollution Act 1990 and Comprehensive Environmental Response, Compensation and Liability Act 1980 (“Superfund”) CERCLA, see: OPA-90 and CERCLA liability limits. (e) Claims in respect of the removal, destruction or the rendering harmless of the cargo of the ship. Some states but not others have exercised the option of ratifying the Convention and/or Protocol whilst reserving the right to exclude the right to exclude these provisions from their national laws, thereby maintaining unlimited liability for wreck removal in their jurisdictions. Some of these states have apparently taken the view that this exclusion also has the effect of excluding any right to limit liability for bunker pollution, or for certain types of claim for bunker pollution, notably costs of removing or rendering harmless the bunkers of a ship. For details of States which have exercised this option see: LLMC Contracting States with reservations concerning wreck removal and related claims. For discussion of the issues relating to bunker pollution see the following extract from a seminar paper I gave in 2014: Bunker Pollution and Limitation of Liability. For details of States which have exercised the option under Article 3(2) of the Wreck Removal Convention (WRC) to extend the Convention area inwards see: WRC States – extensions to TTS as at 31 July 2017. For a note on the effect of the WRC where this option is exercised see: Wreck Removal Convention – Effect in the territorial sea.